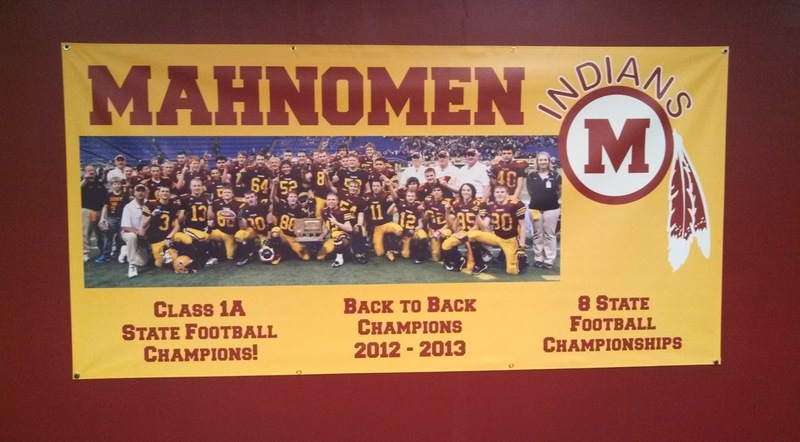 The Mahnomen Indians are the Minnesota Class 1A State Football Champions for 2012 and 2013. 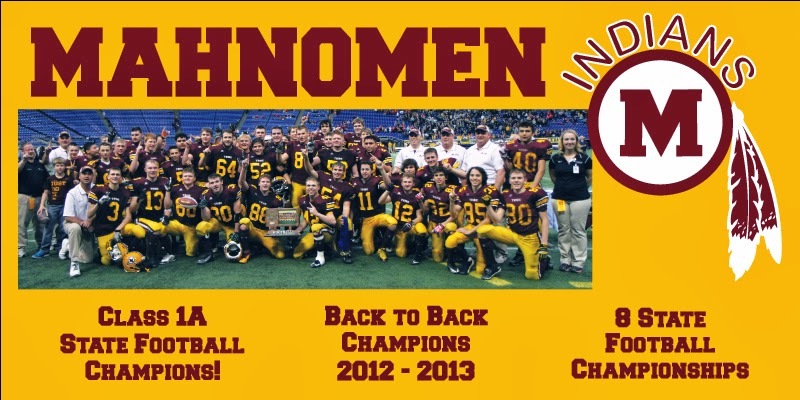 Mahnomen has now won 8 State Football Championships. Banners.com printed some championship banners for the Mahnomen High School to display. The banner has a picture of the football team after their championship game. We printed several large banners for the school to display. We also printed some smaller banners so the football players, family and friends could have a keepsake of the championship games. 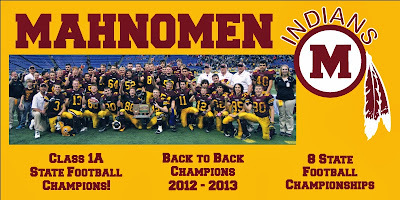 Congratulations Mahnomen on your championships!